Spent the day in the operating rooms with one of my favorite Mexican surgeons, Dr. Gabriel Ramos Orozco. 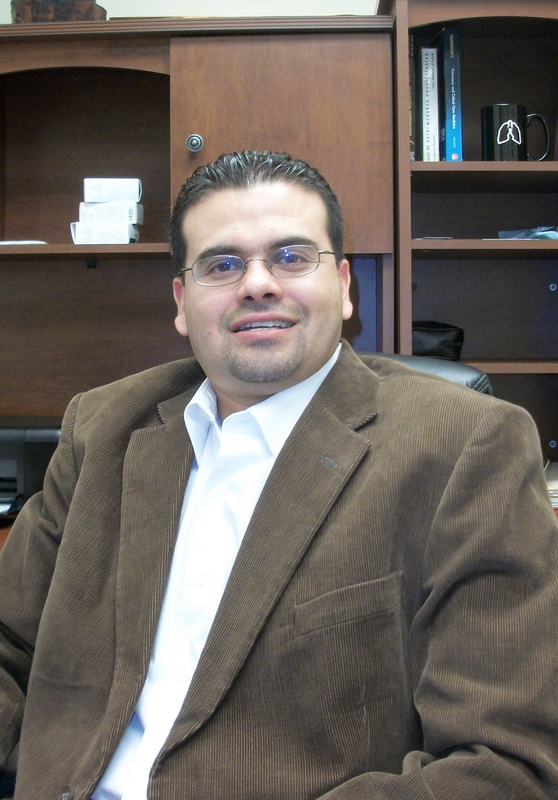 Dr. Ramos is an oncology surgeon with offices in Mexicali (Baja California) and his hometown of San Luis Rio del Colorado in Sonora, Mexico. We spent the day in his hometown – first at the Hospital Santa Margarita, where he performed a laparoscopic cholecystectomy, and then in his offices seeing patients. There were several monitors dedicated to laparoscopy with good display quality. The operating rooms had ample light and functioned well. Overall the clinic was very clean. The surgery itself was under an hour, with no bleeding or other complications. 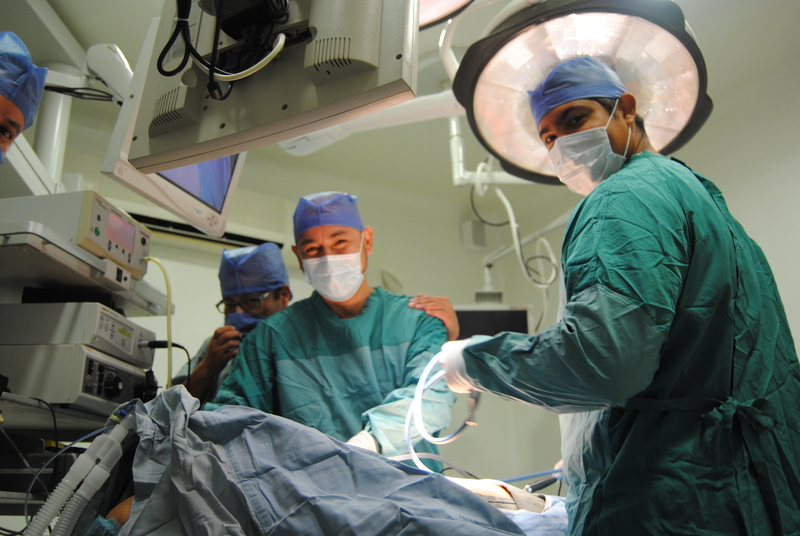 The patient was then transferred to the post-operative care area for monitored recovery from general anesthesia. It was an interesting day – because he sees a diverse mix of patients. 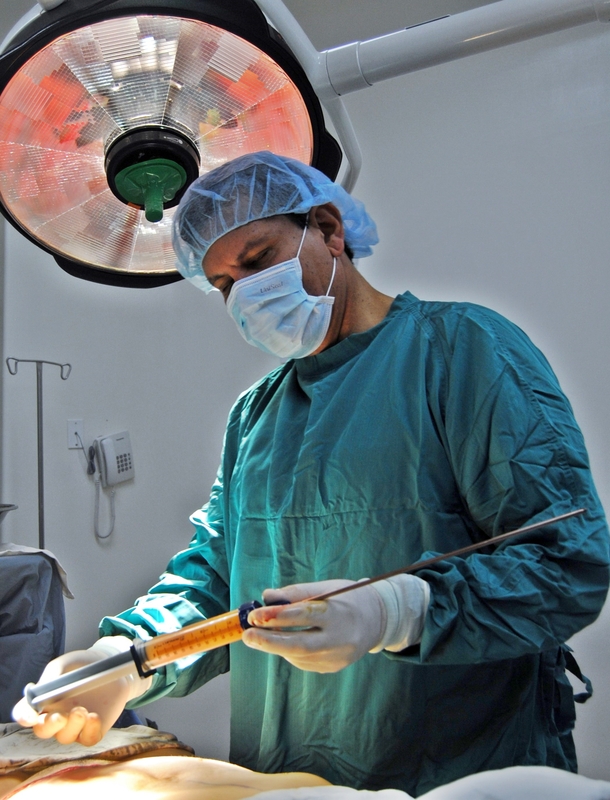 As a general surgeon, he also operates for many of the classic indications, so there were several patients who saw Dr. Ramos for post-operative visits after appendectomies, cholecystomies (gallbladder removal) and the like. There was also a mix of patients with more serious conditions like colon, testicular and breast cancers. His patients were a cross section of people, from the United States and Mexico alike. Some of these patients came for the lower cost of treatment here in Mexico, but others came due to the dearth of specialty physicians like oncology surgeons in places like Yuma and Las Vegas. Many of these international patients spoke Spanish, or brought translators with them since Dr. Ramos is primarily Spanish speaking. Since D. Ramos is not well-known outside of Mexico, many of these patients were referred by word-of-mouth, by former patients, friends and family. Then it was back to the hospital twice to visit his patient post-operative. She was resting comfortably and doing well. It is this level of service that draws patients to his clinic both here and in central Mexicali. This winter, Dr. Ramos returns to school so to speak – as he will be spending several months in Barcelona, Spain and Colombia learning new techniques such as uni-port laparoscopy. He will then be able to offer these state-of-the-art treatments to his patients back here at home; whether these patients come from northern Mexico or other parts of the globe. Highly Recommended: Excellent surgeon with well-coordinated team. 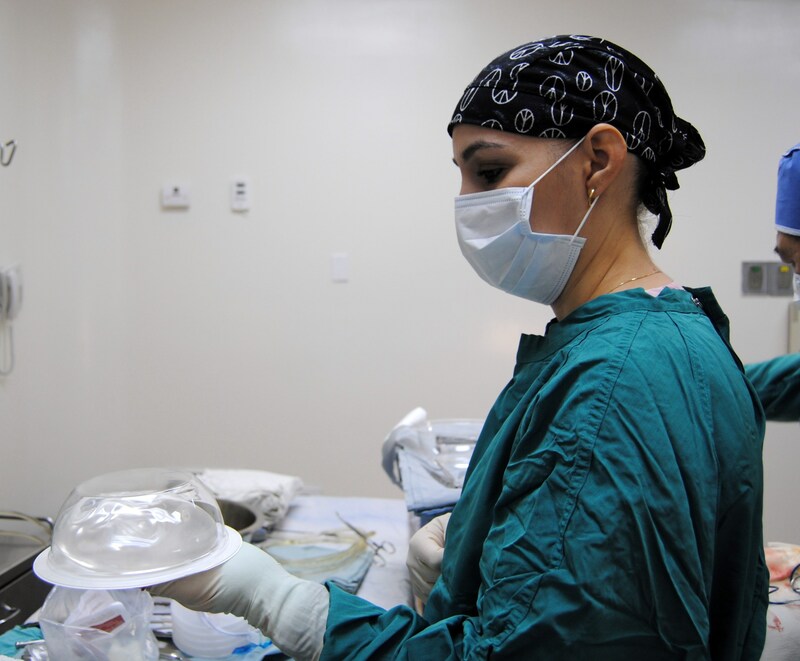 However, patients requiring more extensive surgery (large tumor surgeries/ cytoreductive surgery) should request Dr. Ramos perform surgery in the larger Mexicali facilities for better access to advanced and specialized support services like hemodialysis etc. for sicker/ higher risk patients. Just finished interviewing Dr. Horacio Ham, a bariatric surgeon with the DOCS (Diabetes & Obesity Control Surgery) Center here in Mexicali. Later this evening, we’ll be heading off to surgery, so I can see what he does first-hand. Sounds like a great show – so if you are interested it’s on 104.9 FM (and has internet streaming) at 8 pm tomorrow night..
I’ll report back on the OR in my next post..
We’ve back in the city of Mexicali on the California – Mexico border to interview Dr. Carlos Cesar Ochoa Gaxiola as part of the first of a planned series of video casts. You may remember Dr. Ochoa from our first encounter back in November 2011. He’s the personable, friendly thoracic surgeon for this city of approximately 900,000 residents. 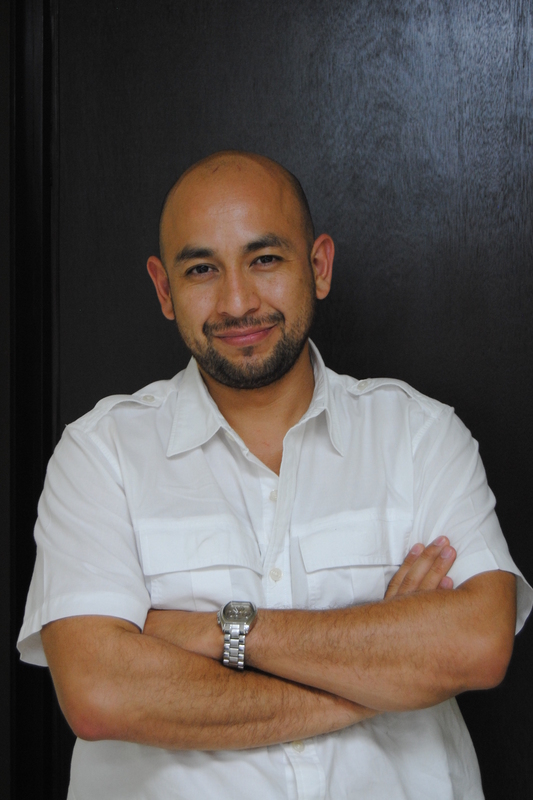 At that time, we talked with Dr. Ochoa about his love for thoracic surgery, and what he’s seen in his local practice since moving to Mexicali after finishing his training just over a year & a half ago. 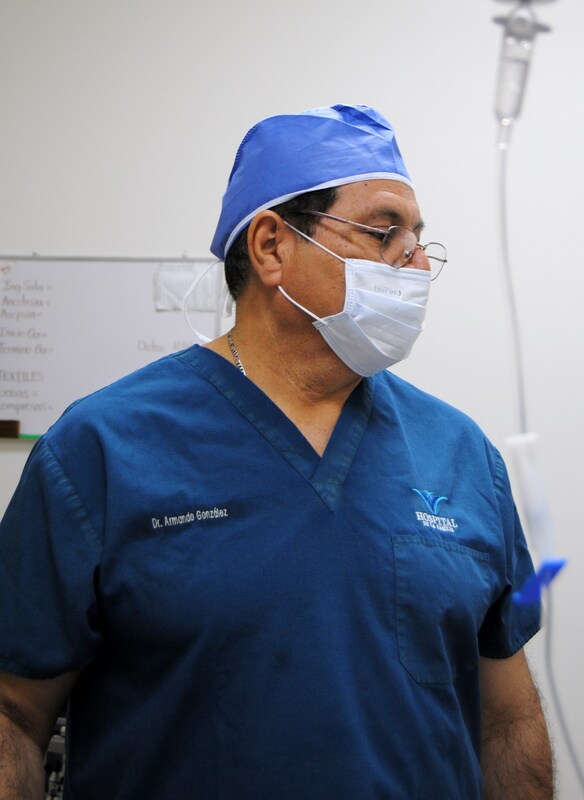 Now we’ve returned to spend more time with Dr. Ochoa; to see his practice and more of his day-to-day life in Mexicali as the sole thoracic surgeon. We’re also planning to talk to Dr. Ochoa about medical tourism, and what potential patients need to know before coming to Mexicali. He greets me with the standard kiss on the cheek and a smile, before saying “Listo? Let’s go!” We’re off and running for the rest of the afternoon and far into the night. Our first stop is to see several patients at Hospital Alamater, and then the operating room for a VATS procedure. He is joined in the operating room by Dr. Cuauhtemoc Vasquez, the newest and only full-time cardiac surgeon in Mexicali. They frequently work together during cases. In fact, that morning, Dr. Ochoa assisted in two cases with Dr. Vasquez, a combined coronary bypass/ mitral valve replacement case and a an aortic valve replacement. Of course, I took the opportunity to speak with Dr. Vasquez at length as well, as he was a bit of a captive audience. 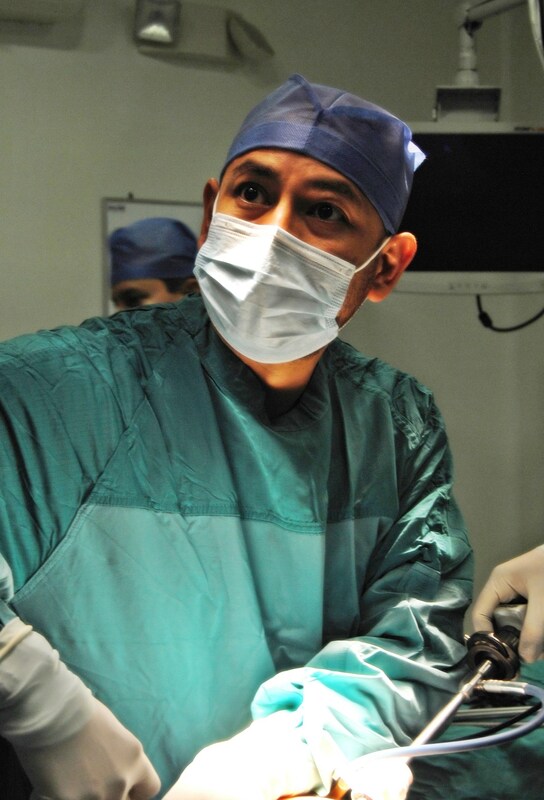 At 32, he is just beginning his career as a cardiac surgeon, here in Mexicali. 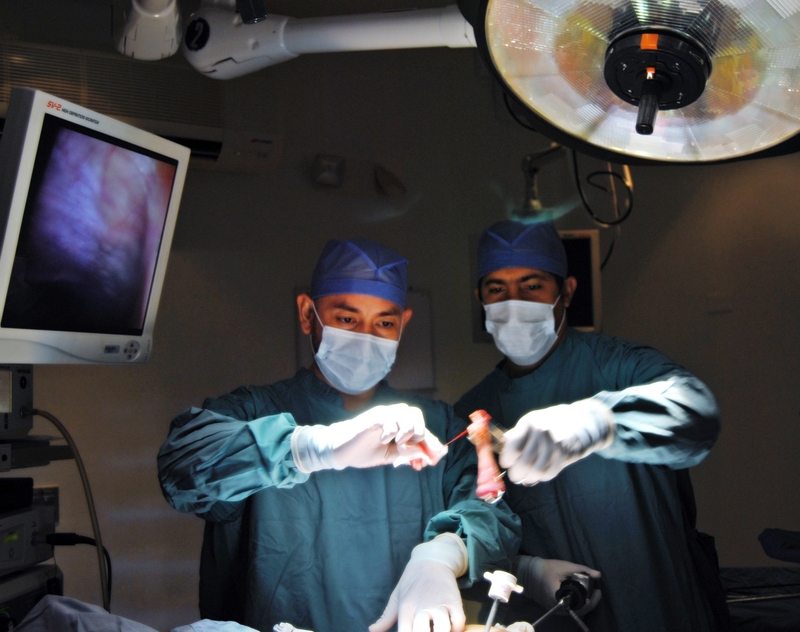 He is experiencing his first frustrations as well; working in the first full-time cardiac surgery program in the city, which is still in its infancy, and at times there is a shortage of cases. This doesn’t curb his enthusiasm for surgery, however and we spend several minutes discussing several current issues in cardiology and cardiac surgery. He is well informed and a good conversationalist as we debate recent developments such as TAVI, carotid stenting and other quasi-surgical procedures and long-term outcomes. We also discuss the costs of health care in Mexicali in comparison to care just a few short kilometers north, in California. He estimates that the total cost of bypass surgery (including hospital stay) in Mexicali is just $4500 – 5000 (US dollars). As readers know, the total cost of an uncomplicated bypass surgery in the USA often exceeds $100,000. Hmm.. Looks like I may have to investigate Dr. Vasquez’s operating room on a subsequent visit – so I can report back to readers here. But for now, we return to the case at hand, and Dr. Ochoa. The Hospital Alamater is the most exclusive private hospital in the city, and it shows. Sparkling marble tile greets visitors, and patients enjoy attractive- appearing (and quiet!) private rooms. The entire hospital is very clean, and nursing staff wears the formal pressed white scrub uniforms, with the supervisory nurse wearing the nursing cap of yesteryear with special modifications to comply with sanitary requirements of today. Surgical staff complete comprehensive surgical scrubs and surgical sterility is maintained during the case. 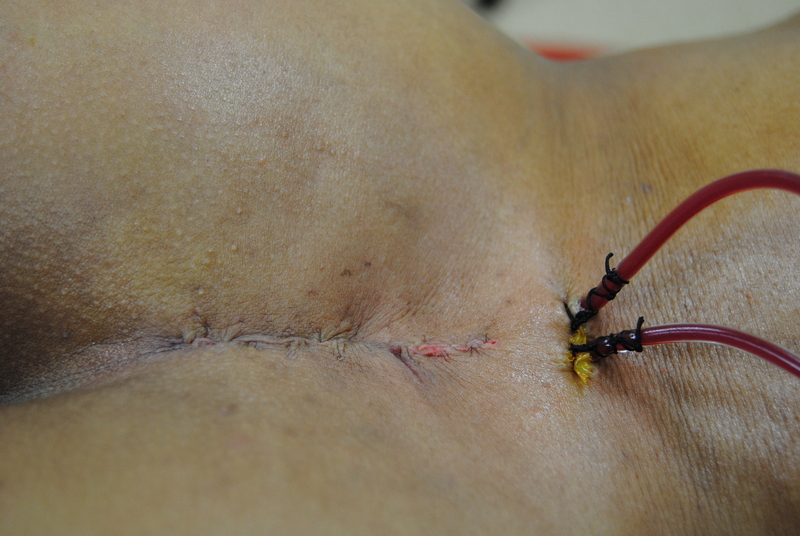 The patient is well-scrubbed in preparation for surgery with a betadine solution after being positioned safely and correctly to prevent intra-operative injury or tissue damage. Then the patient is draped appropriately. 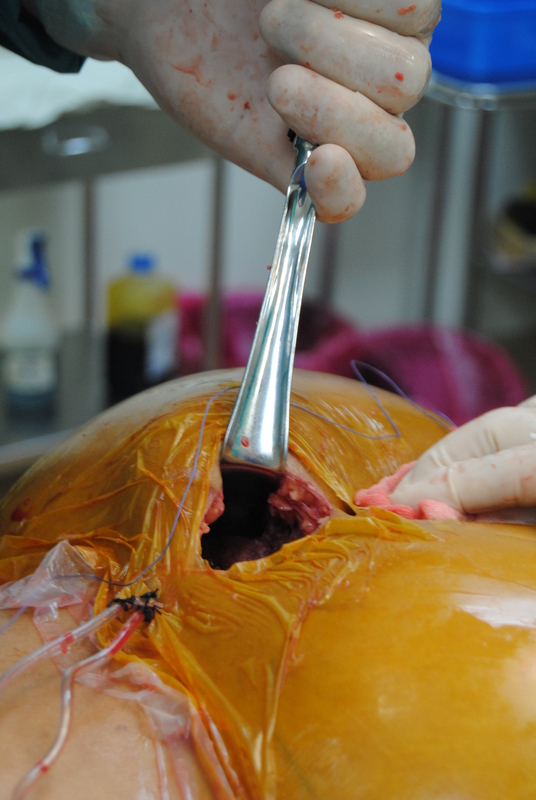 The anesthesiologist places a thoracic epidural prior to the initiation of the case for post-operative pain control. The video equipment for the case is modern with a large viewing screen. All the ports are complete, and the thoracoscope is new and fully functioning. Dr. Ochoa demonstrates excellent surgical skill and the case (VATS with wedge resection and pleural biopsy) proceeds easily, without incident. The patient is hemodynamically stable during the entire case with minimal blood loss. Following surgery, the patient is transferred to the PACU (previously called the recovery room) for a post-operative chest radiograph. Dr. Ochoa re-evaluates the patient in the PACU before we leave the hospital and proceed to our next stop. There is another cardiac surgeon from Tijuana who sees patients in her clinic in Mexicali prior to sending patients to Tijuana, a larger city in the state of Baja California. As the Mexicali surgery program is just a few months old, many potential patients are unaware of its existence. ‘Bypass surgery’ is an abbreviation for coronary artery bypass grafting (CABG) aka ‘open-heart surgery.’ A ‘triple’ or ‘quadruple’ bypass refers to the number of bypass grafts placed during the procedure. If you have read any of my previous publications, you will know that this is NOT always the case, and I have witnessed several cases (at other locations) of unattended anesthesia during surgery, or the use poorly functioning out-dated equipment. During a later visit with the patient, the patient reported excellent analgesia (pain relief) with the epidural and minimal adjuvant anti-inflammatories. As I mentioned in a previous post – here at Cartagena Surgery, we’ve decided to explore some of the border cities of our neighbor to the south, Mexico. 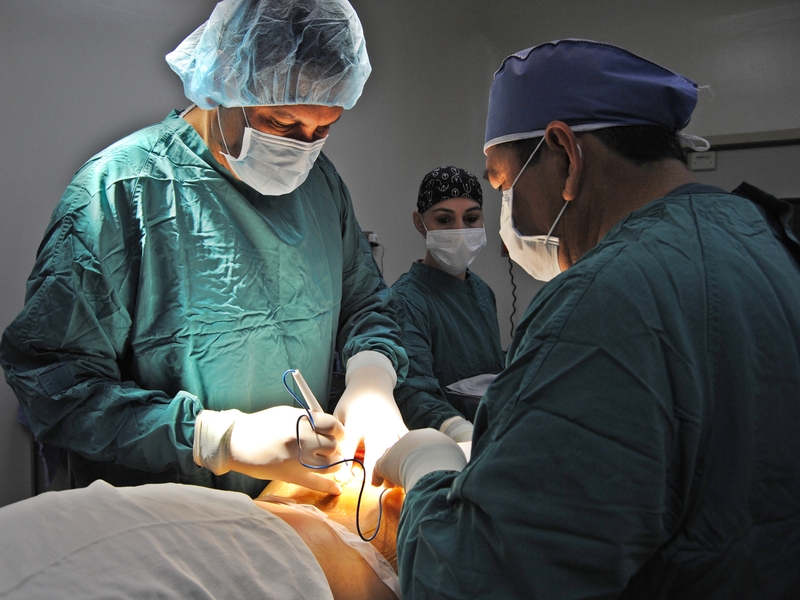 For many people, Mexico is the most practical option when it comes to medical tourism. 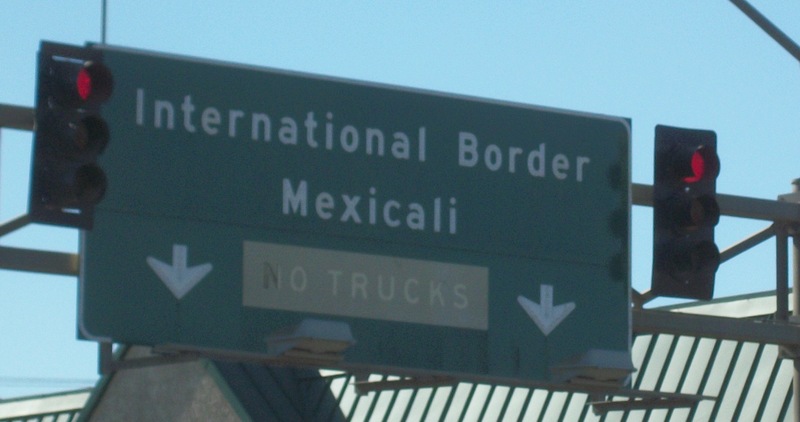 For our first look at Mexico, we’ve decided to travel to Mexicali, in Baja, California. It’s just across the border from Calexico, California and is home to around one million people – making it a large metropolitan area. With the drastic increase in drug-related crime and killings plaguing many of the other cities in Mexico such as Cuidad Juarez “Murder capital of the world,” Tijuana and even the smaller Nogales, Mexicali is the safer, sweeter option for border cities. In fact, Mexicali is known as the most affluent of cities in Baja California – and it is certainly apparent during our visit due to the availability of a wide range of medical services. While the entry from the central border gate leads to a bustling commercial district, the more upscale, attractive residential neighborhoods are only a fifteen minute walk from the border. Official Mexicali tourism page – has English version. Also has a health section promoting local physicians and hospitals. The easiest way to get for (for many people) is to walk. After driving to Calexico, California – turn down Imperial Boulevard and head towards the border. Turn right on second street – and cross the railroad tracks. Immediately on the left – there is a secured parking lot. It costs about three dollars to park here overnight. Take your valuables with you – and as you leave, proceed back down second street towards Imperial. Cross Imperial – and walk about two more blocks. Turn left on Rockland, and proceed towards the Calexico government building. On the front of the building – you will see a set of turnstiles (like at an amusement park.) 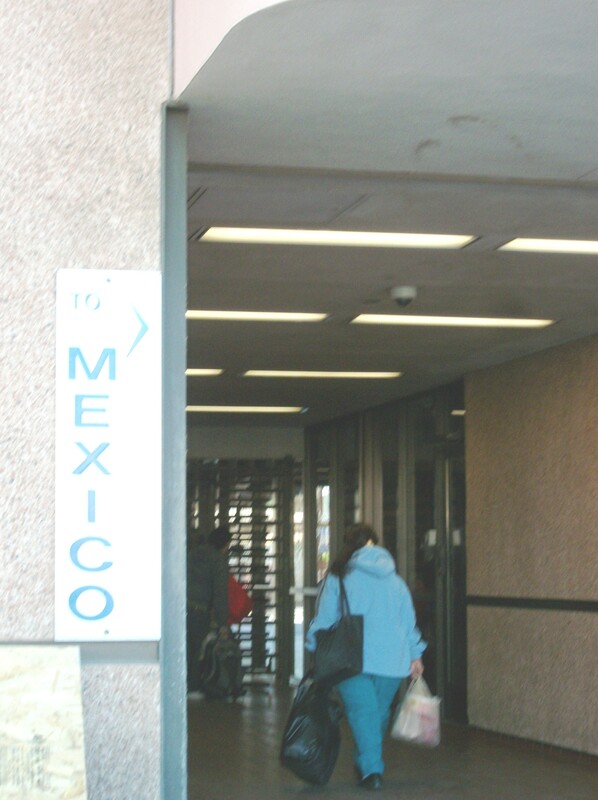 Walk through the turnstiles – walk another 40 feet to the second set of turnstiles – and you are now in Mexico..
You will then walk through a short underground causeway – filled with little shops, and money changers/ cambios. (This is one of the better places to change money – the rates are surprisingly competitive, and beat anything on the American side.) When you emerge from the short hallway – there are stairs on the left. These stairs lead to one of the main streets in Mexicali for medical services – Maduro. I will be living in Mexicali for several months – so look for more postings and information about medical tourism/ medical services in Mexicali in the future.